Just like in humans, allergies can develop in dogs too. 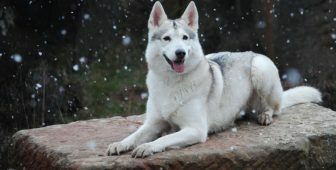 However, some dog breeds are more prone to having certain types of allergies when compared to other breeds. Today, we're exploring the most common causes of allergies in French Bulldogs and the best ways to treat them. Allergies are a flawed reaction to substances by one’s immune system. Just like humans, dogs can also be allergic to different substances found in the air or in food. These substances that cause allergic reactions are called allergens. When they get in the direct contact with the organism, the body reacts to it by releasing hormones that end up in inflammation, itching or swelling. Although allergies are not that common in dogs, some dogs still develop different types of allergies that need to be treated correctly. Due to French Bulldog’s generally compromised overall health, their immune system might be weaker than in other dogs, resulting in the higher probability of developing allergies to pollen or food. Allergies in dogs, just like with people, can’t be completely cured, but have to be appropriately treated in order to reduce the symptoms and make daily activities more bearable. Are you suspecting that your dog’s frequent itching might be a result of an allergy? Or do you already know your French Bulldog has skin or food allergy, and are now looking for the best way to treat it? Then you’re in the right place. We’re talking about causes and treatments of your French Bulldog’s Allergies. Before learning how to recognize allergic reactions in a dog, let’s discover what are the most common causes of allergies in Frenchies. What Are The Most Common Types Of Allergies In French Bulldogs? French Bulldogs, just like most other dog breeds, can be prone to developing allergies to certain allergens found in food or the environment. Now, let’s describe each of these allergy types and find out how to recognize and treat each of them. Since they are the most common ones, we will start with Food Allergies. Food allergies occur when certain substances found in food provoke an unwanted interaction with antibodies inside the dog’s intestine. The allergens cause a dog’s body to react with an increased production of histamine, which causes an allergic reaction followed by visible symptoms. How To Know If Your Frenchie Has A Food Allergy? Food allergies do not have to end up in intense GI problems in order to be noticed. In fact, these reactions to food allergens don’t always show so you should be looking for other signs that will clearly indicate the presence of an allergy. If your French Bulldog has some or all of these symptoms, it’s likely he’s allergic to the food he’s being fed with. Food allergies are the most common ones in canines. The signs that your dog might be allergic to some kind of food are: excessive gas release, diarrhea, vomiting, itchy skin, painful hives and infections. Now that it is clearer how a food allergy looks like in a dog, you should know which foods commonly result in allergic reactions. Let’s list out 10 most common food allergens according to the frequency they are shown in dogs. Most of them are meat or dairy products, so if your dog has some of these included in his diet, chances are you will have to change the food he eats. A third of all dog food allergies are caused by beef. Only after it, come the dairy product and chicken. Check if the food you feed your French Bulldog with contains some of these top 10 food allergens. If that’s the case, you should consult your vet and explore the right diet options for your dog. How To Treat A Food Allergy In A Dog? As you can probably guess, the substances causing the food allergies are commonly proteins, which is a bit tricky, because your dog has to get a fair amount of them in order to stay healthy. That’s why finding a high-quality dog food with a protein substitute your dog will be tolerant to is crucial. The sooner you manage to find the right feeding solution, the better and the healthier will your Frenchie feel. But how do you realize which foods fit your dog’s tummy and which ones cause allergies? How do you treat a food allergy? Determining these important things is crucial and is done by following an elimination diet. The first thing to do in order to treat a food allergy in a dog is to determine what’s causing the allergy! That’s exactly what elimination diet does. It consists of removing all potential food allergens from your dog’s diet for about 7-10 days. 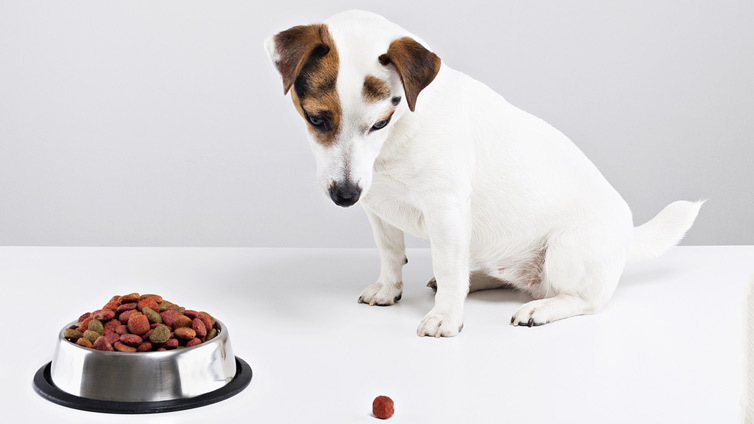 If your dog is allergic to food, in 7 to 10 days, the allergy symptoms will diminish. At this point, you should start adding back ingredient after ingredient into their diet until you see notice the allergic reaction again. When the reaction shows again, it will be a clear indication that the food you reintroduced to his diet is the one triggering the food allergy. The elimination diet has to be done in accordance with your vet. If symptoms still show after you have removed all potential food allergens from your dog’s diet, then you might bring your pup to do further examinations. Once you have figured out what is causing the allergy, you will have to provide your dog with a prescription hypoallergenic diet. If what’s causing the food allergy is protein, then you will have to introduce dog food with a novel protein source or hydrolyzed protein. You should monitor your dog’s hypoallergenic diet for at least 8 weeks during which a strict observance of diet rules will be necessary. Your dog’s symptoms will probably decrease in this period. Once you have given your dog’s gastrointestinal tract to cleanse from the allergen, you might want to reintroduce your dog’s first diet that initially caused the problems. Why would you do such a thing if this was the food that led to a food allergy? Well, this is sometimes suggested in order to be completely sure that your dog is allergic to food rather than only intolerant. This is also called a “diagnostic challenge”. If after a couple of days, the same symptoms of allergy reemerge, you can be 100% sure that your French Bulldog has a food allergy and then proceed with changing his diet for good. Your vet will consult you on which dog foods you should consider. Elimination diet has a purpose of cleansing your dog’s body from all potential food allergens in order to understand if the food the dog’s eating might be causing the reaction. The next step to do would be trying out a hypoallergenic diet, and finally, a “challenge test” diet that serves for determining if the reaction was really due to an allergy or simply a temporary intolerance. Besides food allergies, French Bulldogs, as well as other dogs, can develop allergies to substances found in the environment too. What Is A Environmental Allergy? Environmental allergies work in a similar way like food allergies. What’s different in these allergies is the fact that the antibodies that are becoming hypersensitive when in touch with an allergen are found in your dog’s respiratory system, rather than in the intestines. The hypersensitivity of the antibodies causes a histaminic reaction that results in allergic symptoms. How To Know If Your Frenchie Has An Environmental Allergy? Usually, symptoms of a chronic environmental allergy develop between the ages of three and six. These allergies caused by allergens found in the environment can often show through atopic dermatitis, rashes, asthma or fever. The scratching will occur in the inflamed parts of the body. Areas that are most likely to get inflamed as a result of an environmental allergy are: groin area, stomach, toes and paws, ears, eyes, nose or face. What makes them different from the food allergies is that, in this case, gastrointestinal problems are left out. Unfortunately, environmental allergies aren’t curable, but they can be controlled and managed with medication and a good approach. What Are The Most Common Environmental Allergens? You might decrease the chances of your Frenchie suffering from allergy reactions by ensuring your home is always clean and dust-free. Small particles that collect in dust are often the ones that cause allergies. Provide yourself with some dust-fighting tools and products and you might make your dog’s health condition a lot better. Environmental allergies have similar symptoms like food allergies, but they are caused by other allergens. The most common environmental allergens are: dust mites, airborne pollen, mold spores, and animal or human dander. How To Treat An Environmental Allergy In A French Bulldog? There are several things you can do in order to maintain your dog’s health, despite the allergy to some of the environmental substances. 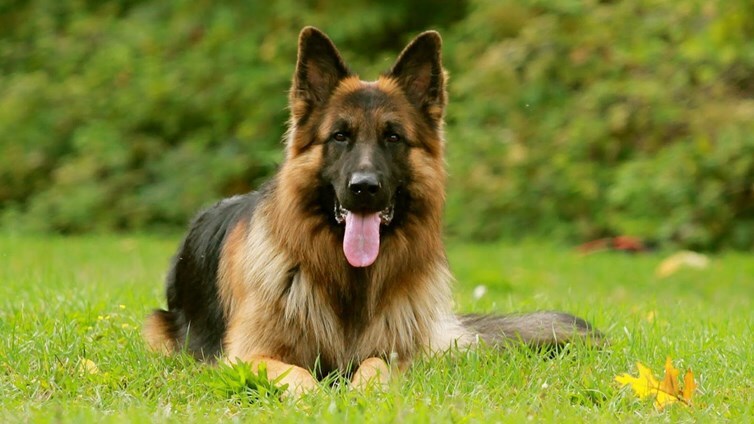 Your vet will have to determine the right type and strength of the medication needed for your dog. 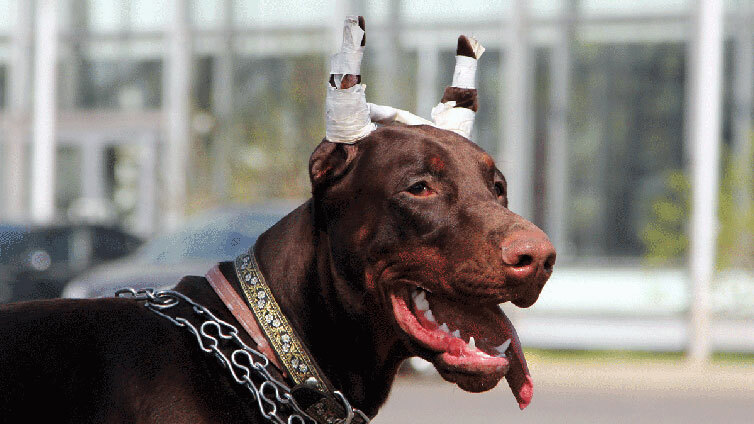 Medications usually prescribed to treat allergies in dogs are corticosteroids and antihistamines. If the allergic reaction of your dog includes the atopic dermatitis or rashes, it might be necessary to include topical ointments in the treatment too. However, when applying these treatments on your dog’s skin, you have to make sure your dog doesn’t lick it. Everybody cleans their home, but some places collect more dust due to their position, closeness to streets or the number of people using the space. So, by cleaning your home regularly and making sure the dust is away from your dog, you will help your Frenchie enjoy a happy life. You might also want to consider removing large, thick carpets that attract all types of allergens inside. Your pup might bring some of the allergens causing the reactions on himself. That’s why you should always have a couple of wet towels or pet grooming wipes beside you in order to clean his paws whenever you return back home. Also, buy hypoallergenic dog shampoos that will enable you to bathe your dog more often without compromising his skin and fur health. Make sure you clean thoroughly the skin folds of your French bulldog, as dirt and dust could collect in there and cause further problems. Immunotherapy helps most dogs with environmental allergies cope better with seasonal allergies. These allergy shots do not cure the allergies, but they work on the principle of making your dog less allergic to certain particles by exposing him to the allergens that are causing the problem. Unlike with food allergies, environmental allergies can’t be completely avoided and reduced. That’s why it is important to have a proper approach to treating your dog’s allergies by providing him with right medication, a clean environment, additional grooming and allergy shots, if needed. When an allergy causes rashes and irritations on the skin, different skin conditions can develop on your pup. Your French Bulldog’s skin might get too dry, itchy and scratchy which will inevitably cause your dog to behave differently. Skin allergies are actually the most common symptom of other allergies. They occur as a manifestation of hypersensitivity to food or environmental allergens. But, often, skin allergies can be a result of poor breeding practices or low-quality dog foods. The last phase of a skin allergy reaction is called Allergic dermatitis which can be very painful for dogs. However, most skin allergies are easily treatable with the right approach. For most of French Bulldogs, a simple change in diet can treat skin allergies. But what do you do if your dog has reached the stage of the Atopic dermatitis? How To Know If Your Frenchie Has Atopic Dermatitis? As soon as you notice these signs, it’s time to act because Allergic Atopic Dermatitis might cause secondary problems and lead to infections, or seborrhea. It will be necessary to start applying topical treatments to the affected area. We will get to the treatment of Atopic Dermatitis soon, but let’s first see what can be causing it. Besides food and environmental allergies, the most common cause of Atopic dermatitis are fleas. Dog’s skin reacts to the flea saliva injected after the bite. Luckily, allergic dermatitis from fleas is the easiest to treat. You will probably use flea repellents in order to make sure they are killed and won’t bite your dog again. Apply the flea medication and the results will be noticeable in about a week. Atopic Dermatitis is also one of the reasons you should always make sure to protect your dog from fleas. Atopic dermatitis can be the ultimate stage of skin rashes caused by allergies. Commonly, atopic dermatitis is caused by fleabites. That’s why it’s very important to protect your dog from fleas. How To Treat Atopic Dermatitis? Depending on its severity, Atopic Dermatitis can be cured with one or several treatment approaches. In order to make sure your Frenchie’s skin recovers fast, you will have to make scratching stop. The more your dog scratches where it itches, the worse the problem can get. Find topical treatments such as hypoallergenic shampoos, lotions and gels that will make the itching go away. If the rashes caused a yeast or bacterial infection, you will have to find a therapy that will disinfect the affected area and help regulate normal production of skin sebum. Look for antiseptic lotions and shampoos, as well as creams that can help control bacteria and yeast on the skin. Include omega-3 and omega-6 fatty acids in your dog’s diet. You can find plenty of healthy supplements that will contain these essential nutrients. These fatty acids will make your dog’s skin healthier and more resistant to rashes. In order to completely heal an Allergic Atopic Dermatitis in your dog, it will be necessary to treat it by implementing several therapies: anti-itch therapy that will make scratching stop, antibacterial therapy that would disinfect the affected area and healthy supplements that help the skin cure faster. Although allergies are not that common in our canine friends, they can still occur and make your dog’s life harder. Just like with most human allergies, they are not deadly, but they make our daily functioning more complicated. The same is true for your French Bulldog that suffers from allergies. Before deciding to start your dog’s treatment plan, check if your dog is presenting all or some symptoms of allergy. Food allergies can often be confused with food intolerances, that are completely different. However, recognizing your dog’s allergy is crucial in order to make your Frenchie happier and healthier. Explore the reasons that might be causing your dog’s allergic reactions and find the best treatment plan that could diminish your dog’s sensitivity to different allergens.